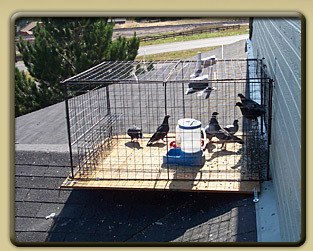 Cages by Jim provides Bird removal services for commercial and residential areas. We use humane trapping and exclusion techniques to keep the Birds from returning. Bird removal consists of removing and proofing the area. Cleanup is recommended after removal. Large amounts of Bird feces should be cleaned and removed by properly trained technicians to avoid any health risks. Birds \' berd\ Warm-blooded egg-laying vertebrates characterized by feathers and forelimbs modified as wings.